For more information about becoming a member of republican women contact Irene at rockstargop@verison.net. It’s offical, Republican Women puchase bus! Posted by * * * in 2016 Elections, NFRW, PFRW, SUN Area Republican Women, Uncategorized. Comments Off on It’s offical, Republican Women puchase bus! It’s official the National Federation of Republican Women voted to purchase a bus. Watch for republican women to roll into your neighborhood as we take back the White House in 2016 and get on board; there is a place at our table for you. Bring the family to celebrate Ronald Reagan’s birthday; lots of activites for the kids! Posted by * * * in 2016 Elections, Candidate Information, Coalitions - Agricultural, Coalitions - Women, Dates to remember!, Events, How can I make a difference?, NFRW, PA Republicans, PFRW, SUN Area Republican Women, Uncategorized, Union County PA Republicans. Comments Off on Bring the family to celebrate Ronald Reagan’s birthday; lots of activites for the kids! Join the Union County Republicans as we celebrate President Ronald Reagan’s 105th birthday. There will be activities for all ages, some of Reagan’s favorite foods and, of course, jelly beans and chocolate cake! Bring your entire family. When: Saturday, February 6th, 2-4 p.m.
Activities are provided in part by PA Ag Republicans, SUN Area Council of Republican Women, National Teenage Republicans, the Union County Republican Committee and other associated organizations. 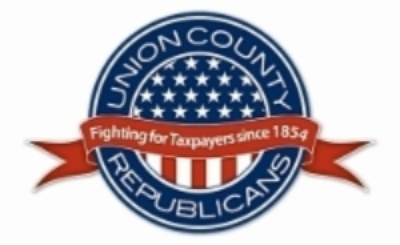 The SUN (Snyder, Union, and Northumberland) County Council of Republican Women will be in the Union County Republican Committee booth at the Union County West End Fair on Thursday, August 6th, 2015. Stop by and say hello! Fair details . . .